The following article was written by my mother, Elsie Warnock, and published in the El Dorado News Times on Veterans Day, 2013. 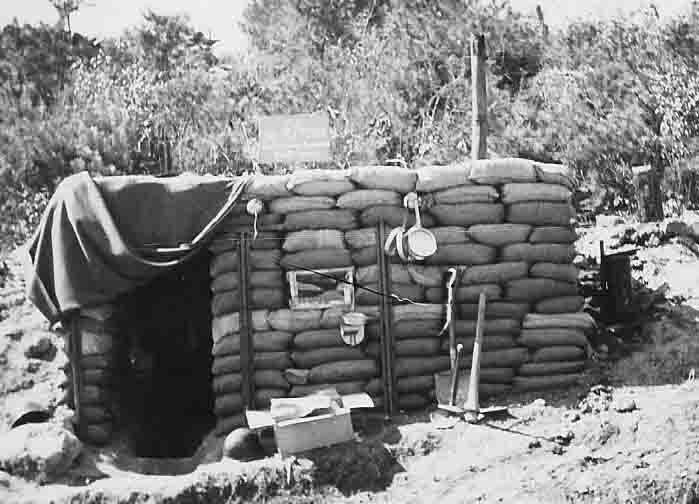 Wartime weapons may change but some things about war never change: death, destruction, loneliness, prayers for loved ones, killing of the innocent, grieving. Parents will always suffer anguish when their sons and daughters face battle and danger. Wives and husbands will always count the days days of separation. Children will always miss valuable time with an absent parent. One thing hasn’t changed and will never change: the need to communicate between family and friends and the absent soldiers. 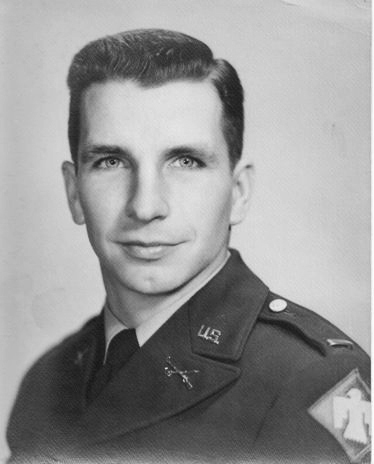 Jim Warnock, my husband, graduated from Ouachita College (now University) in May of 1950 as a new ROTC 2nd Lieutenant. The Korean War – or “Conflict” or “Police Action” or whatever neat word the Powers-That-Be can create to substitute for the accurate word WAR – broke out the next month so his immediate future was a given. During Jim’s service, our form of communication was letters, letters and more letters; a very rare phone call or two and one telegram to report his arrival time back in Arkansas. The letters were sent airmail which was wonderful unless he was on a troop ship to Japan. Or unless the troops were changing locations. Or unless some person dropped the ball and didn’t move the mail in a timely manner. Jim wrote in various letters, “Mail and the lack of it was a constant frustration. As much as I moved around on various field problems, I could go days without a letter. I remember one particular mailman. I don’t ordinarily shoot mail men but we had one in K Company that I was gunning for. One night he brought out the mail and said, ‘Oh, Lt. Warnock, I didn’t know you were going to be here. I have some mail for you back in the kitchen truck.’ If he hadn’t brought it that night, I planned an execution at dawn. Receiving mail became a problem after Christmas because of the buildup of Christmas packages. The packages were delivered but the letters were held back until the packages could be delivered. So between the delay after we left Hokkaido and the Christmas rush of packages but no letters, mail was a longed for thing. 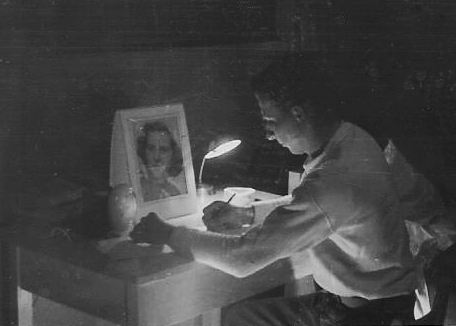 Letter writing was a frequent pastime at night but lights out could come at any time. The lights were run off a little electric generator that would just quit whenever it took a notion. As I sat down to write one letter, (my roommate) Davis said, ‘Looks like we’ll have to make up a war story to write today ‘cause nothing happened here that sounds like war.’ I told him Elsie assured me that was the way she liked it. Now, fast forward to the current day. If we could have foreseen the changes that would occur in communication over the years, we would have thought we were watching one of those Buck Rogers space episodes from Saturdays at the movies. Imagine! Someone can sit down in front of a screen, type a message, tap a few keys and your soldier is reading it. That adorable thing your young child just spoke (or did) can be sent immediately before you forgot that magic moment. During those Saturday matinees, we would have been wide-eyed if we had seen Buck Rogers pick up an object smaller than a deck of cards, press a few keys and instantly talk to someone near or far, for as long as needed. Family members today do it all the time without a second thought. That same small object can take a picture or video and send it around the world instantly. If that isn’t remarkable enough, imagine sitting in front of your computer with a tiny camera attached and actually talking face to face with the person. Think of how many fathers and mothers get to see their young children when they take their first steps, or hear some of their first words. Fathers no longer must wait months or even years to see how their children have grown. They can be there on Christmas morning, or for that very special birthday party, or there to see the teenagers dressed up for the Prom. In the 1950s, we could take a picture, get the roll of film developed and airmail the picture. Now, families can take a photograph and in a moment download it to a computer, even edit it to improve it, and send it by email within minutes. Husbands and wives can now each keep up with finances with instant access to records. (I wonder if they ever argue over money long distance.) Gifts can be ordered online and shipped to the right address. Whatever happened to the Telegraph? Jim sent one fateful telegram home after landing in Seattle on that August day in 1952 to report that he and his traveling buddy were catching a military flight going to Little Rock. 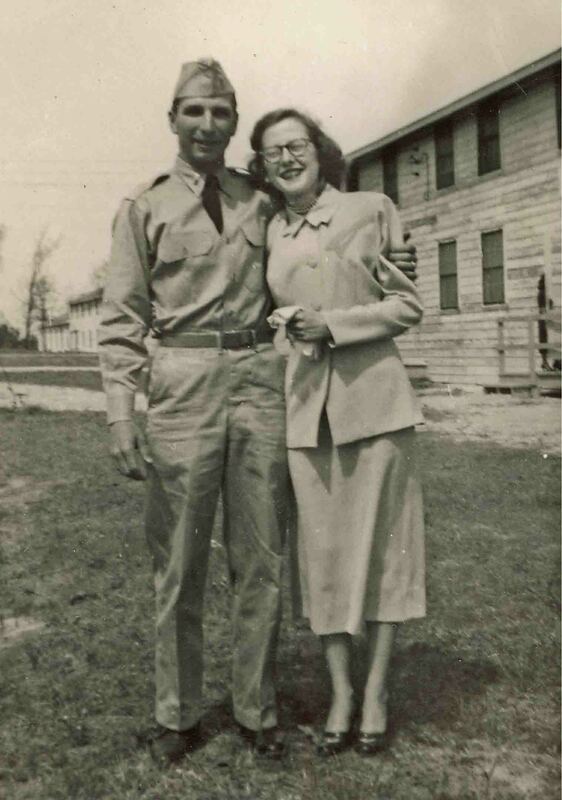 There was just one problem: the telegram was delivered to Elsie’s college address in Arkadelphia. When the telegraph operator read the message to Elsie who was in Hot Springs, her remark was, “Oh, this is terrible.” When both of them calmed down, he from his dismay at the negative reaction from a war wife and she from her dismay to discover that her husband was headed to the wrong town, the operator explained that he had checked on the flight and that it would land in Little Rock and gave the time. The story had a complicated happy ending about 3:00 a.m. the next morning in Hot Springs after she and relatives drove to Little Rock to watch every passenger disembark except for two lieutenants who had been bumped from the flight at Fort Smith and would arrive later that day. We never found out what that telegraph operator must have gone through to discover a Ouachita coed’s home phone number in Hot Springs – on a Sunday with the college offices closed, but he deserved a bonus big time for going that extra mile. What a marvel a cell phone would have been but who knew such a thing would ever exist. Yes, indeed. War is hell. But modern technology can help loved ones stay connected in spite of separations that are such a challenging part of military service during war and peacetime as well. By ozarkmountainhiker in Uncategorized on November 14, 2013 .